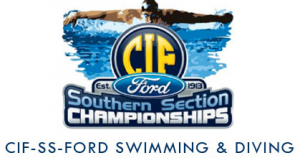 Junior Kenisha Liu of Ayala is a back-to-back champion in the 100-yard freestyle event while breaking a new meet record at the CIF Southern Section Division 2 record with a time of 49.72 seconds, that has stood strong for over 36-years. The record was set in 1979 by Jill Sterkel from Hacienda Heights Wilson High. 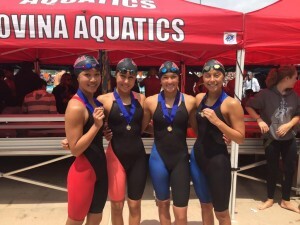 Ayala girls’ 200 yard freestyle team that broke its record from 2013 with a time of 1:36.30. Liu finished second in the 200 free event with a time of 1 minute and 47.22 seconds. Her efforts contributed to the team’s third place finish in the meet behind Crean Lutheran and Glendora. 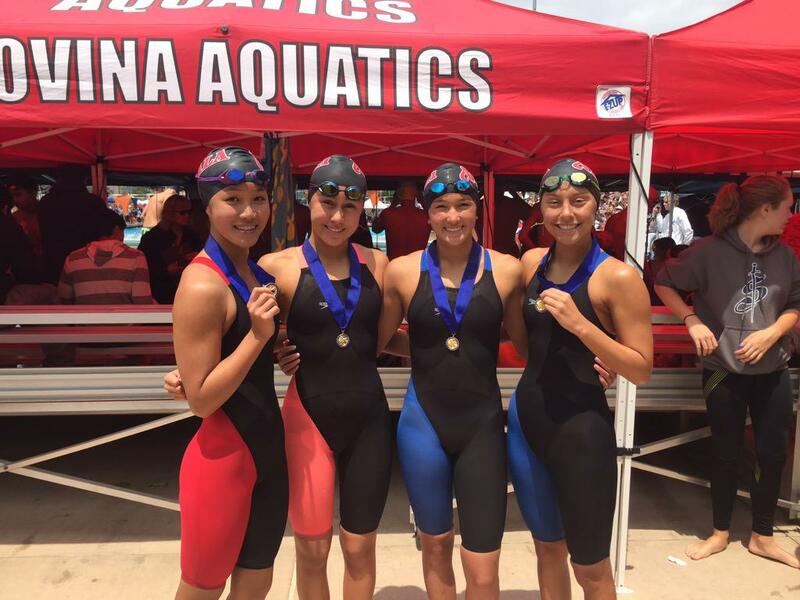 Lui also competed in Ayala’s 200-yard freestyle relay team which broke its own record from 2013 with a time of 1 minute and 36.30 seconds. Liu was one of two members, along with Megan Delgado, of this year’s team that was also in the record-setting event in 2013. Freshman Mikki Thompson and junior Shannon Steele were also apart of the 2015 Ayala team. The group of Ayala girls also finished third in the overall team standings behind Crean Lutheran and Glendora. Thompson finished third in the 200 IM and 500 free championship events. The Girls 200 IM will feature a number of local coverage area swimmers. Freshman Mikki Thompson of Ayala finished with the fastest time among area swimmers with a time of 2 minutes and 06.03 seconds, which lead to her being seeded third going into the championship race. Kathleen Gani of Diamond Bar is seeded No. 6 while Mikayla Jean of Redlands East Valley is seeded at No. 9. Gani had a time of 2:07.10 while Jean had a time of 2:08.28. Emily Longfellow of REV finished third in the Girls 200 IM and is seeded at No. 10, placing her in the consolation finals. Longfellow missed a chance at the championship race by .02 after posting a time of 2:08.30. Longfellow also competed in the 200 Medley Relay to meet the meet along with REV teammates, Alexa Melara, Autumn D’Arcy and Emily Rigsby. REV finished with a time of 1:48.29. Redlands (Melissa Pepper, Summer D’Arcy, Niki Proctor and Alex Zak ) placed No. 6 going into the championship race with a time of 1:48.97. Diamond Bar will also compete in the race as the No. 7 seed after a time of 1:49.37 in the prelims. Diamond Bar’s team consist of Gani, Jenna Lloyd, Kelly Cheng and Kelsey Lloyd. For Ayala, Kenisha Liu qualified for the 100 yard free championship race following a prelim time of 51.21. Rigsby will compete in the consolation race.